The Pomodoro technique is a time management technique based on the combination of effort periods with rest periods. In this way, it is possible to increase your concentration thanks to short rests. 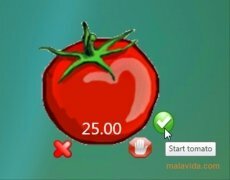 With MaToMaTo you will be able to keep detailed control of the time that you spend using this technique. The application is always at the front, and during the first 20 minutes, it swings back and forth with an animation. 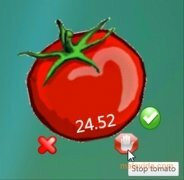 It only stops the movement when there are five minutes left to end the countdown. MaToMaTo doesn't issue any type of sound or alert, something that makes it possible to use it in shared study areas without bothering anybody. The software can't be stopped, and any reset of the application will place the chronometer back at 25 minutes marker, the time established by the Pomodoro technique as to when it is necessary to take a five-minute break. 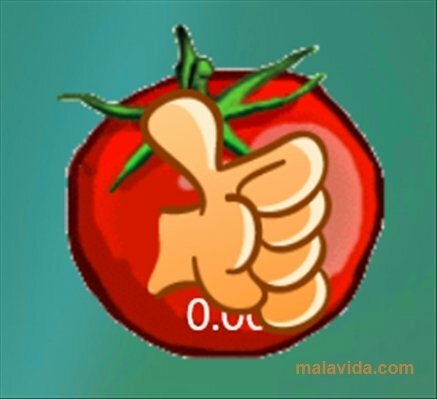 MaToMaTo doesn't require any installation. 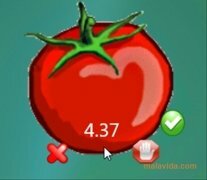 You'll only have to activate it by launching the program and start to manage your time according to the Pomodoro technique. You'll see how your performance increases.